If you’re currently in a job that you don’t like and you fancy a fresh start, or if your CV is being rejected time and time again, now might be a great time to make some improvements to your CV. There may be lots of reasons why your CV is not quite making the grade, and trying to figure out what’s going wrong can be a very stressful nightmare. To give yourself the best possible opportunity of getting an interview you have to look at your CV from all angles and make as many improvements as you can. Above: Our Accountancy themed CV template is easy to customise to any role and makes an excellent first impression. Making a great first impression is an absolute must when it comes to writing a CV, and unlike many other processes you won’t get a second chance when it comes to recruiting. The hiring manager will only take a few seconds to skim read each CV as they just don’t have the time to spend reading every single word. If your CV fails the eye candy test you will likely end up on the rejected pile in an instant. Your CV also needs to be easy to navigate and the manager has to be able to quickly locate anything they’re looking for. Some employers don’t care for hobbies, whilst some really like to see what you get up to in your spare time. There are some employers that will literally go straight to the work history or skills section, and won’t even read your amazing personal statement. Trying to figure out what the employer will read from your CV is impossible, so don’t worry about it. Instead, focus on making improvements to your layout and presentation, and use bullet points where possible to make it easier on the eye. 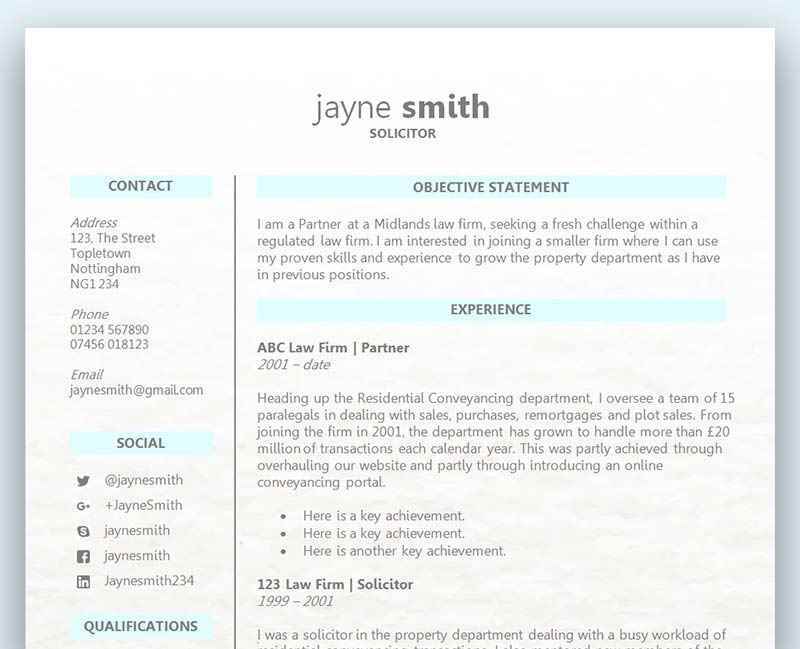 View our free CV template collection and find the perfect layout to get you started. Far too many CVs contain waffle and don’t get to the point, which is very important to a busy hiring manager looking to make a quick shortlist for interviews. The employer is not after your life story and only wants to know how you could benefit the company if hired. They don’t want to know about every single detail of your previous work history, and instead prefer a brief overview. With just two pages you need to make every word, sentence and paragraph count. Provide as much relevant information as you can, and don’t be afraid to leave off anything which doesn’t add value or credibility to your CV. Tailor your CV to each and every role you apply for and take note of what the company is requesting on the job advert. Even if you apply for numerous jobs with the same or similar job title, each company would view things differently and have varying requirements. Writing a cover letter is a great improvement you can make to your CV and overall application. A cover letter addresses the hiring manager directly and adds a personal touch to your CV that it can’t do on its own. The structure of a CV is quite formal and clinical with little room for niceties, and that’s where a cover letter comes into its own. You can be more open and friendly in a cover letter and provide more details that you were not able to in your CV. Be careful not to just mirror what your CV has already said, and approach your letter from a different angle. Keep it short and to the point, and explain why you are the right person for the job and what you have to offer. Whoever wrote the job advert will have used their own terminology to explain what they want, and it’s these keywords which you should take note of and apply to your CV to make some dramatic improvements. Using the same or similar technical jargon will put you on the same page as the employer, and make them realise that you understand the industry and know what you’re talking about. Check back over your CV and make improvements to your wording so it matches the job advert and what you’d expect the employer would want to see. One of the biggest mistakes you can make on your CV is to fail to quantify your achievements and results. If you choose to make bold statements about your skills and past performances without actual results, you could leave the employer feeling suspicious about your claims. It’s not enough to state that you were the top salesman for the past three months; you need to also provide how many sales you made and what revenue you generated. This would add far more value and credibility to your CV as you are more likely to be believed. Although providing the daily tasks for your previous jobs is quite standard on today’s CV, the employer is now looking for evidence of your performance. Provide instances of revenue generating ideas, problem solving, customer excellence, and any stats or results to back up your outstanding achievements. It doesn’t matter how good you think your CV looks if the rest of the world disagrees. With so much riding on the presentation of your CV it’s important to get a second opinion and don’t just rely on your own judgement. Put every ounce of pride aside and have someone else look over your CV to not only approve the look but also the content. The best person to proofread your CV is of course someone who is or has been a manager and has extensive experience in reading CVs and the hiring/interview process. Finally, consider transferring your information over to a brand new CV template to give it the extra boost it needs. If you’ve been using the same old and tired CV for years, a CV template will inspire passion into your application and bring it up to date and relevant.